Women’s Centre for Guidance and Legal Awareness (WCGLA)’s vision is to see empowered women, youth and teens living in a just and equal Egypt, where they enjoy all of their human rights. 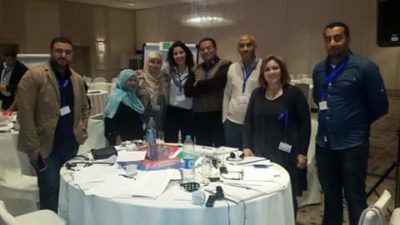 WCGLA is a Egyptian, feminist, non-governmental organisation that works to protect and promote human rights for women and youth within the framework of international human rights mechanisms and standards. This is undertaken through monitoring, documentation and advocacy at local and international levels; providing social and legal services to female and young victims of violence and those whose human rights have been violated; undertaking awareness, advocacy, training and legal reform programmes that ensure gender equality; developing the capacity of grassroots organisations and volunteer groups, all within the framework of an effective organisation that works in a complementary way through the various programme and administrative units and regional offices whose specialised and highly-qualified staff are committed to the vision and mission of the Centre.